Additional features and benefits include: • Lightweight, compact design allows you to comfortably wear an Apex printer on your belt or with a shoulder strap during long work shifts. • Simple drop-in paper system allows you to quickly replace paper rolls. • All resident fonts and firmware are integrated into flash memory and are directly under your control. • High capacity Li-Ion battery is included with easy charging options. • Available with an optional magnetic strip card reader and Bluetooth® or IrDA wireless communication. 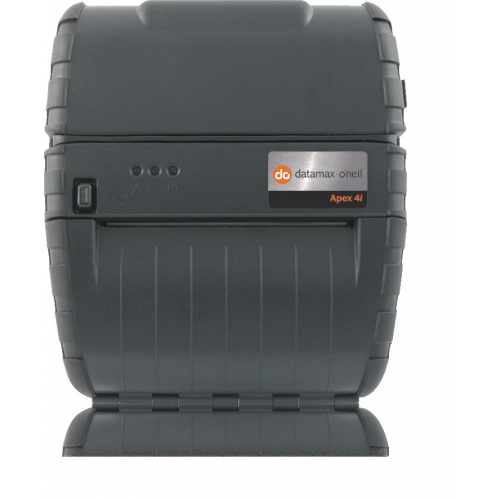 Specifications at a glance: • Printhead: Direct thermal • Resolution: 8 dots/mm (203 dpi) • Print mechanism speed: 51 mm (2 in) per second Find out more about what you can accomplish with Apex series mobile receipt printers and Honeywell workflow solutions.